Profile: Hosehead always has the desire, but often lacks the ability. Ready, willing and unable could be his motto. Although he has proven himself to be courageous and skillful in the most desperate of situations, his eagerness to be helpful at all times, even times when his help isn't needed, has often gotten him into trouble. He has rescued people after they already have been rescued. He once doused a building with flame retardant chemical afher the fire that had engulfed it had already been extinguished. He is famous for doing the right thing at the wrong time. Some suspect that this chronic problem is a result of crossed cerebral circuits. 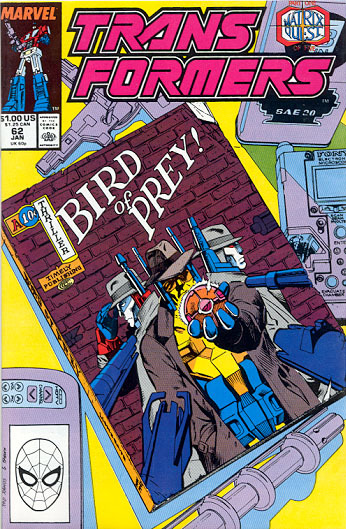 But those who know him best realize that his bumbling behavior stems from insecurities within him born of his once being a low-level microchip counter in a transistor factory on Cybertron. He joined-the Autobots because he believed that he could do more with his life. He's been trying -many would say over-trying, to prove, his value to them ever since. 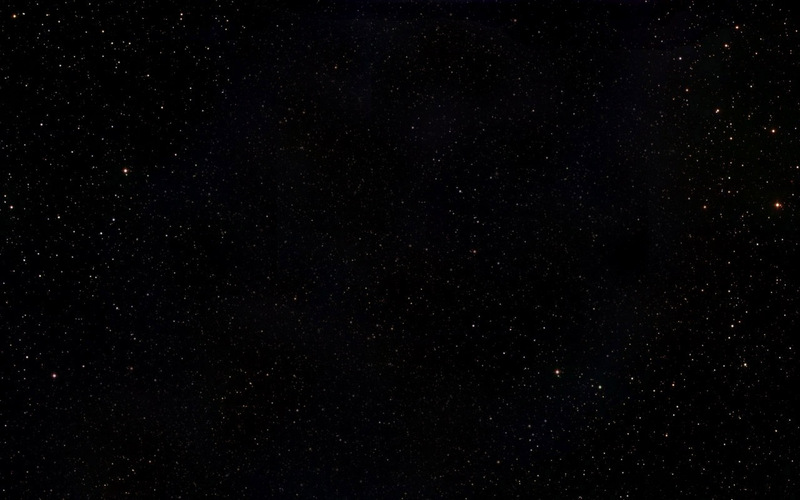 Hosehead is binary bonded to Lug, a former all-star athlete on the planet Nebulos. Lug's experience of performing under the high pressure spotlight of competition has proven to be a great benefit to the typically insecure Hosehead. Since Lug was bio-engineered so that he could transform and assume the role of his Autobot partner's head, Hosehead has demonstrated a marked improvement in the manner that he carries out his emergency rescue function. Abilities: Hosehead transforms to a hi-tech fire truck. In truck mode he is equipped with a hydraulic ladder, high pressure water hose, flame retardant chemical foam, infra-red sensors for finding hidden sources of heat (such as fires within walls and living beings) and emergency medical and repair equipment. He has a maximum speed of 240 miles per hour and a range of 600 miles. He is armed with two short-range laser pistols and an accelerator rifle. The rifle works by accelerating any target it hits so that the target moves at uncontrollable speeds, at least until it crashes into something. The rifle has a range of six miles. Weaknesses: Given the frequency that he engages in unnecessary tasks, Hosehead often runs low on fuel. 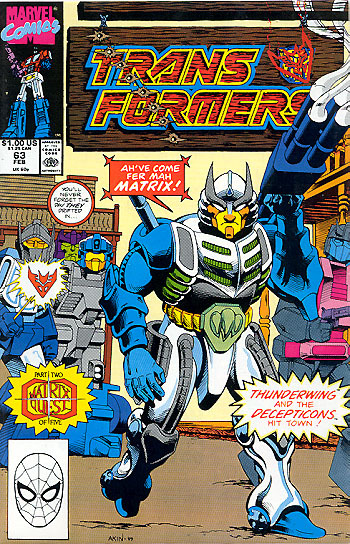 * (Marvel) Transformers #62- Featured heroes of this issue of the "Matrix Quest"
* (Marvel) Transformers #63 - Shown as prisoners of Thunderwing. 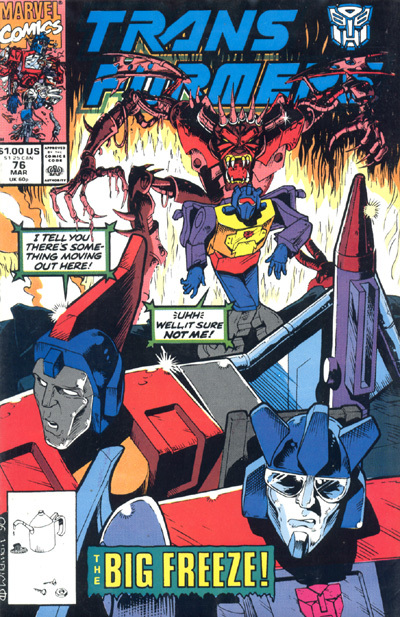 * (Marvel) Transformers 66 - Autobot Headmasters play a significant role in latter issue of the Matrix Quest. 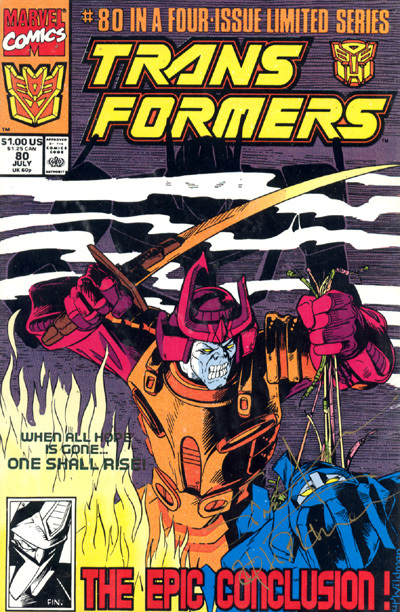 * (Marvel) Transformers 80 - Siren gets a skid plate whippin' at the hands of Bludgeon. * (Dreamwave) Transformers: The Age of Wrath, Hosehead makes a brief appearance in battle. 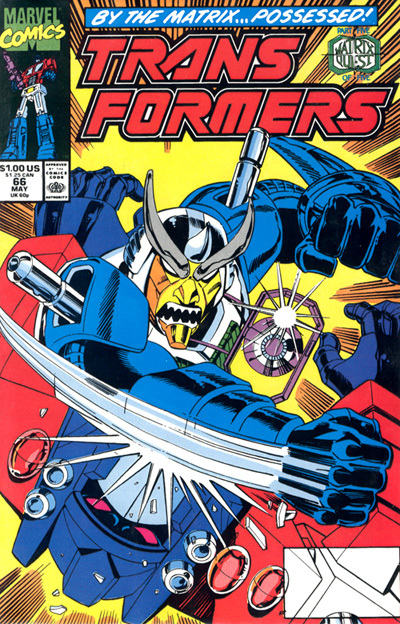 To date, there has been only one character with the name in the Transformers Universe.